Step 1. 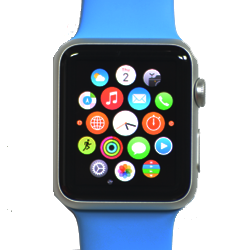 Tap the "Apple Watch" App on the iPhone. Step 2. Tap the "Search" tab if it is not selected. Step 3. Tap the "Search Bar". Type the name of an app which you wish to install. As you type suggestions may appear below. If a suggestion matches your search, tap it.